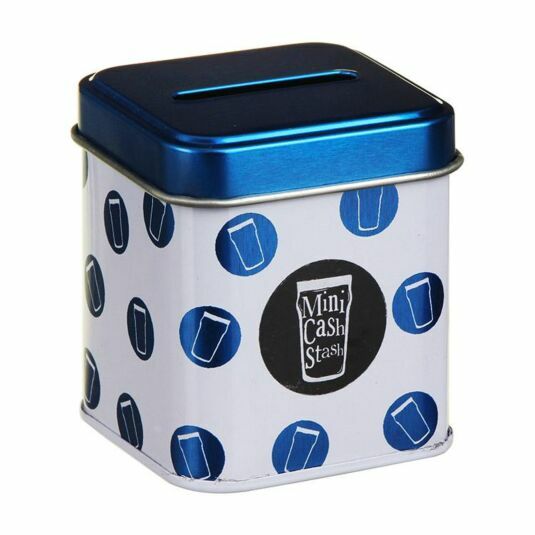 This mini money tin is perfect for saving up, and its small size (6.5cm high and 6cm wide) means that you can fill it up with money quicker, and of course spend it quicker too! It comes with a removable metallic blue lid, and will make an attractive addition wherever you decide to keep it. The writing on the front reads 'To do: 1. Raid Tin 2. Drink Beer', while the back reads 'Mini cash stash'. 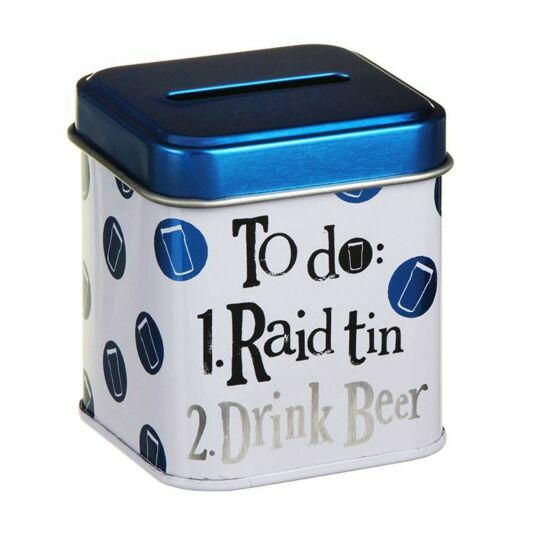 It is small enough to fit in a desk drawer, but stylish enough to be shown on a shelf – so long as you trust everyone to leave your sacred beer fund alone! This bright and humorous tin makes a great gift for a birthday, Christmas or new home.